I hope you had a great start in the week. After last weeks not all that bright news about the appointment I had a week before, I started feeling a little better about the situation. I am following if you fall down, just stand up and adjust the tiara kind of approach. 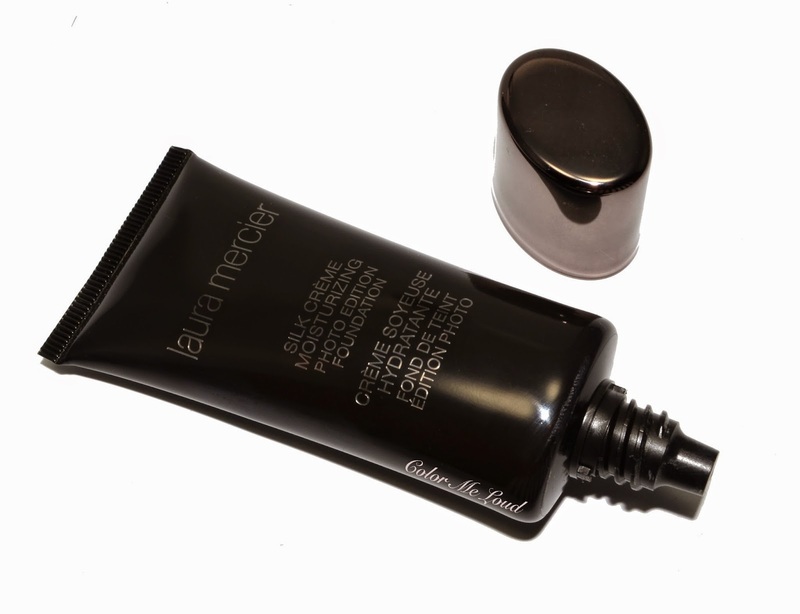 Laura Mercier Silk Créme Moisturizing Photo Edition Foundation comes in a dark brown plastic tube with a lid which has a metallic effect. The product can be dispensed by squeezing the tube. It looks nice and it is easy to use as well as hygienic. 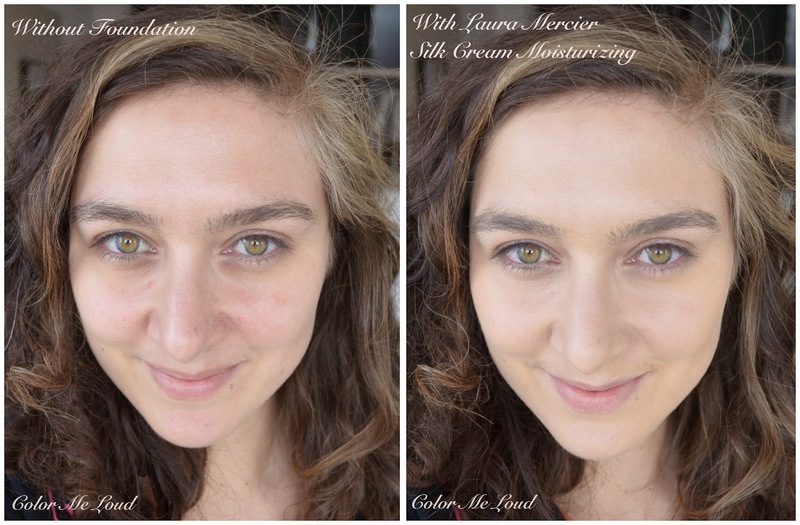 What is very important to remember prior to the application with Laura Mercier Photo Edition Foundations is "shake well". Like other foundations with similar consistency such as Chanel Vitalumiere Aqua, the water tends to seperate from the rest and if you don't shake well, you might just get water out of the tube. It is recommended that the foundation is applied with a sponge. I have tried it with fingers, different brushes and sponge. I found that a damp sponge, such as a beauty blender variant works the best. The coverage is medium and buildable. I like my foundation to be a little sheerer so with a damp sponge, I can also sheer it out a little and blend perfectly. Although the name "Silk" might suggest it would be a glowy finish, to me it is more like a matte/velvet finish. I personally don't need to powder on top, or powder very lightly just for reasons such as blending a powder blush/bronzer or contour. Good news is that, Laura Mercier Silk Créme Moisturizing Photo Edition Foundatio comes in twelve shades. Bad news for myself, I have picked the wrong one *chuckles*. I was checking findation and trying to figure out which shade would match me most, it gave out "Rose Ivory" and I was like "oh no I am not that pink really, let me get Ivory instead". Now don't laugh but look at the results of me adjusting my shade blind... It almost looks orange on me! Rose Ivory, Cream Ivory, Ivory, Ecru, Bamboo Beige, Beige Ivory, Medium Ivory, Cashew Beige, Sand Beige, Suntan, Pecan, Truffle. As you see Ivory is around NC15-20 with very strong yellow/peachy undertones. Considering I am matching to YSL Fusion Ink B20 (reviewed here) and Tom Ford Traceless Perfecting Fawn (reviewed here) at the moment, the shade is right but undertone is off. Also since it is a medium coverage foundation, the shade and undertones both matter. Looking at the photos, each time I wonder how Chanel B20 work on me, it looks so dark. I am in desperate need for some sunlight! Here is me wearing Laura Mercier Silk Créme Moisturizing Photo Edition Foundation in Ivory vs. me wearing nothing. You can see the finish is velvet, most of the spots and pigmentation are covered. I can get along with minimal concealing afterwards, especially needed under the eyes. You can see that undertones don't match but it is not all that awful in the end. I have been wearing it for a few weeks now. I also found it to be long lasting and comfortable. On very dry skin days, I found that it emphasized my very dry patches, such as the one between my eye brows. These areas though are right now being emphasized with almost all the foundations I tried so it might not be a claim for this one either. Silk Créme Moisturizing ones include shea butter, glycerin and natrium. Oil Free version has Vitamines A and E as antioxidants. Moisturizing version also has peral pigments to give a light reflecting property against skin appearing dull. Silk Créme foundations doesn't come with sun screen, which is expected since it claimed to be good for photography purposes. The ingredients include Butylene Glycol which you might want to keep in mind in case your skin is very sensitive. Final thoughts: All in all I really enjoy the medium coverage, long lasting natural finish and the ease of application of Moisturizing Edition of Laura Mercier Silk Créme Foundation. If you have very dry skin, the velvet finish of this might emphasize dry patches so try before buy is essential. On my normal to dry skin, I really enjoy it. 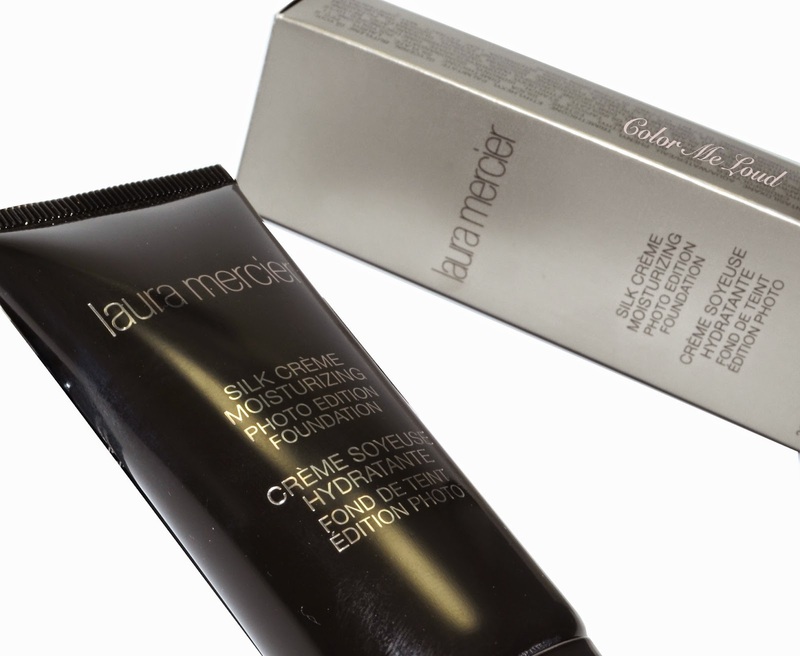 Availability/Price: Laura Mercier Silk Créme Moisturizing and Oil-Free Photo Edition Foundations are going to be on the counters in April. It will cost around €48 for 30ml. Do you like velvet finish foundations? Which one is your favorite? Hi Sara, thank you for the in depth review and including ingredients listing. I think this foundation sounds very nice and I'm definitely going to ask for a sample when it's available. Hey Sara, I actually don't think this looks bad on you, but I know what you mean. The undertone does look different in the swatch. I personally like velvety, since my natural sebum always sneaks up on me and I end up with something glowy anyways. I'm not sure about foundations in a squeeze tube tho. I kinda prefer a pump! I didn't get on at all with the original silk crème. This formulation sounds interesting, I will definitely try to find a sample when it comes to a Australia (about 6 months after the rest of the world) lols. Hi Sara, for some reason Laura Mercier just doesn't ring any right notes for me at all. Almost every product that I've tried from the brand in the past didn't work well. But gosh it's interesting how ivory still worked out in the end despite the crazy swatch! And I didn't know Chanel B20 was so dark either! LOL! It looks so yellow in the swatch! I'm not sure what to think of it really, lol :-) I'll have to try a sample. the review sounded perfect for me (since I have normal to dry skin) until I saw the swatches O_O well that is really very yellow, I don't know if it would work for me. My skin can handle a bit of a yellow undertone since it gives it a little more light. I suppose applied very sheer as you do it is not a big deal. It looks so yellow on arm swatches but on your face, it looks quite nice! It does indeed look good in photography. I was meaning to try the original Silk Creme but I'm glad I waited. I'd enjoy the oil-free version better! Thanks for the heads-up! Do you happen to know how this new one compares to the previous LM foundation, the smooth finish fluide foundation? sorry, I don't have the previous LM foundation to compare.